Zazzle is a fun way to make money on the internet. It allows people to be creative in a number of ways, and make money from sales. But, the person has no problem with shipping, nor with warehousing a large inventory. Zazzle handles this for you, and even handles the sales. Oh, you are allowed to advertise products yourself, but Zazzle does as well, and right now it is a good income maker. The amount of money you make depends on the number of products you have, and on visibility of your products. The more products you make, the better. And, sometimes adding an image to a multitude of products may seem a waste of time since certain objects look like they might not sell, but surprises happen and many do sell. Getting visibility on Zazzle with their many designers takes time, and sales seem to push items up, but so does Twitter. After you make a product, advertise it on Twitter, G+, Facebook, and especially on Pinterest. 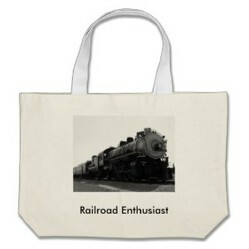 When I started on Zazzle there was a small, but nice, selection of products available. Now, the offerings are much greater. The only problem is that new products may not automatically be added to old designs, so as you get notice of something new it is a good idea to go back and add your designs to it if the design works for the item. The introduction is one of my Zazzle products. Digital Photography works, and a better camera with a higher dpi can be important. It is easy to add an image, position it, and even size it on products. Choosing a background color can also add to the appeal. Yes, your customers are allowed to customize, so moving an image or changing a background can be done by the customer, but people buy more when there is less effort on their part. And, Zazzle provides multiple views of what the final product will look like, so having the image available to the potential customer is important. So, if you think different color backgrounds will sell, make and show them. The reason for a large dpi is that as the image size is increased if it tends to pixelate, at which size a warning comes on the screen. This can happen with any product, but it seriously limits the size a print will look good. If your prints are only available in smaller sizes you eliminate the higher royalty sales. A talented artist can make an image, scan it, and make it available on prints, mugs, and many other items for sale. Some people do art on their computers with special programs, others paint. Prints can be made in a multitude of finishes, and can be matted and framed for a price. Zazzle can even make beautiful wrap prints where the image goes onto the edges of the piece. And, art can also work on other objects. Can you see your art on a cutting board? How about a tile? Or, maybe it will work on a mug or stein. Do you have the ability to write short poems, or other sayings, that would look great on a wall or coffee mug, or even a tile used as a trivet? Then why not find an appropriate image as a backdrop and add your words to these products? Or, if you prefer, you can show a famous saying through the affiliate program which is covered below. Many are already there. The buyer can change the font, the size of the words, and even the color of the words. And the message can be moved about, and placed by the buyer in the part of the image the buyer would like to overlay with the words. Just remember, the words go on last. This way they overlay the image. If the image is last it will cover the words. Do you have something to say? You can add your words to a shirt, or perhaps to a canvas bag. 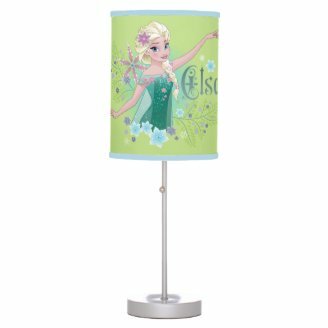 I have found a triple way of going green using Zazzle. I placed environmental messages on reusable bags. Then, if you choose the natural fiber bag to advertise you too can make a triple impact. The reusable bag saves on plastic bags, the organic material is environmentally friendly, and your bag can be read by many people getting the message out. Even your advertisement gets the message out. There are many humorous shirts, aprons, magnets, and mugs already out there, but if you want to add your humor. It is easy. Many Zazzle products have a purpose, but sometimes the design also can give the product its purpose. Greeting cards can be turned into Table Numbers, Save the Date Cards, Invitations, or Thank You Cards. Some people specialize in weddings and showers. Yet, there is always room for more. Affiliates make money on Zazzle, so you can get involved even f you have little or no creative talent. Join, and show other people’s products. The seller gets a nice commission, and the designer still gets a royalty, although it is slightly reduced. The royalty is based on what Zazzle makes, so the base for the royalty is reduced by any commission. Some great products featuring Disney, and some comic book characters, as well as some older bands are available. These can be personalized. The only problem with them is the image may not be available on the entire line of Zazzle products. For example, wrapping paper is a newer product, and large companies may not go back to add a newer product with an existing image to their product line. Find a club that might use a product, then hope for multiple sales. Many clubs can use the tote bags. Allow the club to customize the bags and you might just make a great sale. CafePress is similar to Zazzle, and works about the same. In fact, you can reuse your images and have the same image on products for both. But, CafePress is more cumbersome to work with, and you need to make many products without spending too much time on making any one item. Then, you also want your customers to be able to customize the product easily. With Zazzle, payment is when you have $50, and occurs in the middle of the month. The money clears after thirty days. However, even if you have less than $50 of cleared money, you are allowed to spend it on Zazzle products, sometimes with a discounted price. It is alright as passive income. I have good months where I can get well over $100, and slow months where I miss the payout. I believe it is about $600 or little more a year, but I have yet to get too far into the affiliate side. One nice thing is if you make a Wizzley sale, even if your account number is not up, you can get the royalty unshared. I really enjoy turning some of my photos into Zazzle products. I'm not getting rich, by any means, but I do feel like I'm doing something productive with my time.